Do you want to reserve a table? You can reserve a table on Ticketmaster. Exclusive for the VIP area is dedicated waiters, bars, liter seidels and excellent view of the stage. VIP table for 10 persons, 100 bongs and a sharing platter from Strøm Larsen consisting of pork chops, pork knuckles, chicken, wurst, sauerkraut, potato salad and accessories. VIP table for 10 persons and a sharing platter from Strøm Larsen consisting of pork chops, pork knuckles, chicken, wurst, sauerkraut, potato salad and accessories. VIP table for 4 persons and a sharing platter from Strøm Larsen consisting of pork chops, pork knuckles, chicken, wurst, sauerkraut, potato salad and accessories. VIP table for 10 persons. Table for 10 persons on the floor. Table for 4 persons on the floor. 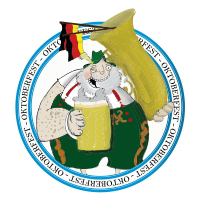 If you have any questions, please send us an e-mail to bord@oktoberfestoslo.com.